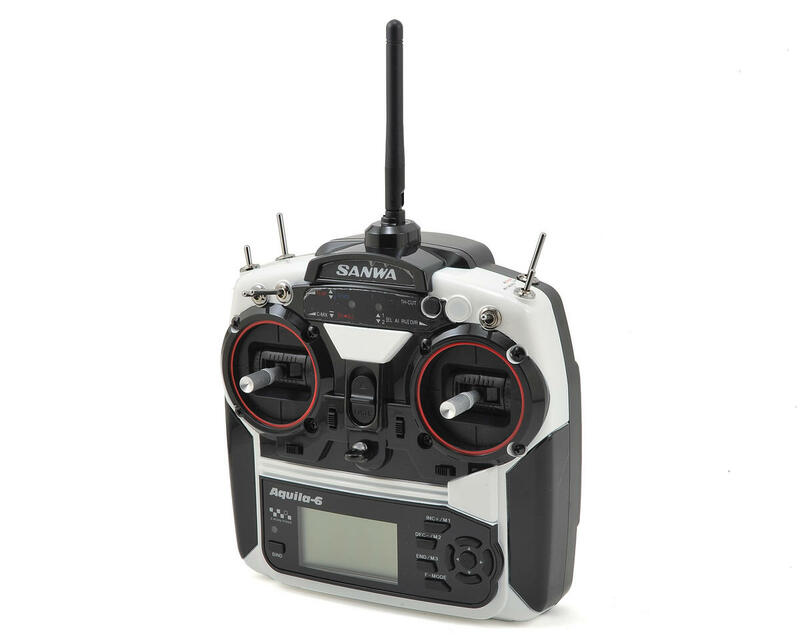 This is an Sanwa Aquila 6 4WD 6-Channel 2.4GHz Radio System, with an included RX71E FH1 Receiver. 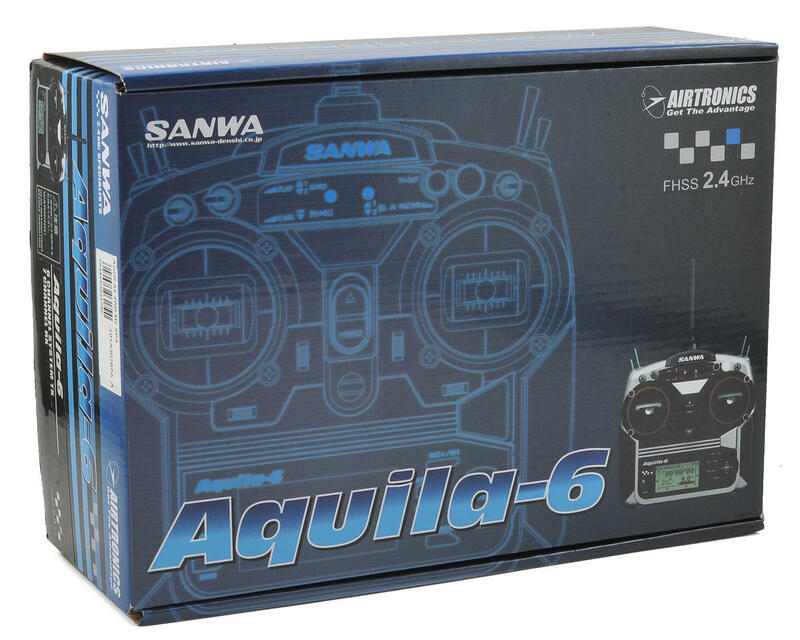 The Aquila 6 is an advanced 2.4GHz Digital Proportional 6 Channel stick transmitter with a unique style and proven 2.4GHz system. The Aquila 6 is ready to deliver superior control for your rock crawler, tank, boat, or any other application that can benefit from 6 channel control. Do you need extra channels to control 4 wheel steering, a winch, lights, or a turret? The Aquila 6 4WD is what you have been waiting for. The Aquila features proven, rock-solid and reliable Sanwa 2.4GHz FH1 frequency hopping transmission scheme. It's true frequency-hopping that provides a superior signal for that “locked-in” feel. Already proven in the aircraft world, the Aquila 6 is ready for your 1-6 channel surface application, and can handle advanced models with ease! 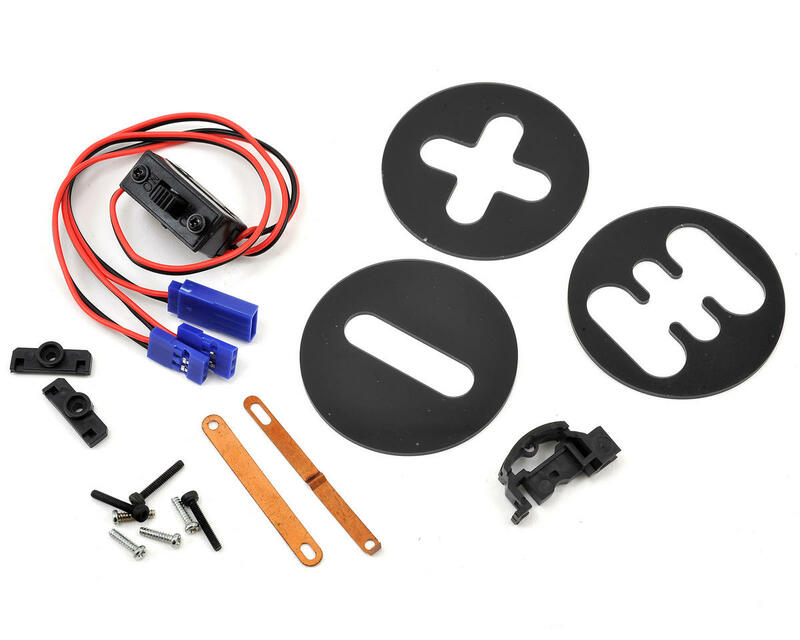 Simply install the circular shift gates over the gimbals to limit the throw of the gimbals and you have a great radio system that is loaded with features, and is ready to bring your custom setup to life. Nominal Input Voltage is 4.8v ~ 6.6v, therefore, the receiver may be powered using a 4 Cell or 5 Cell Ni-Cd or Ni-MH battery pack or a 2S Li-Fe/A123 Battery Pack. DO NOT USE A 2S Li-Po! No servos are included. Analog or Digital servos can be used. 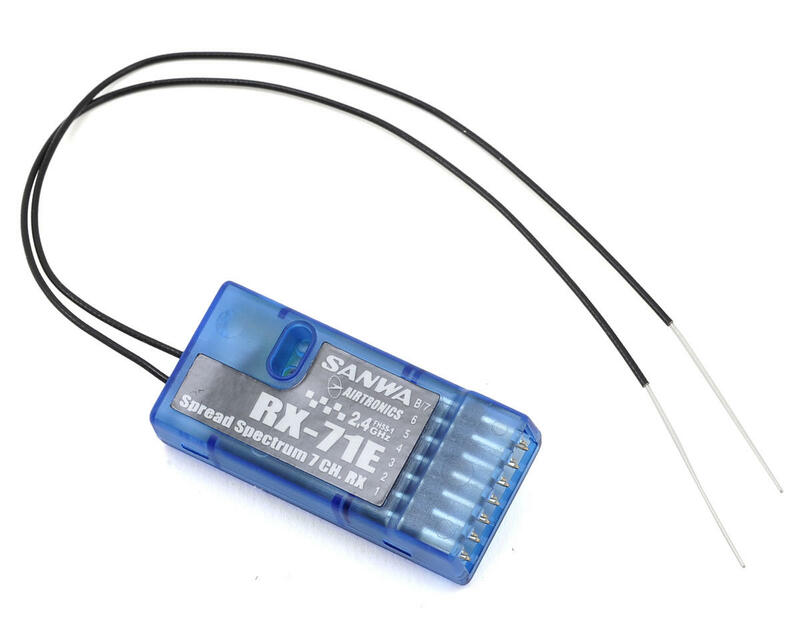 Sanwa recommends using Sanwa/Airtronics servos that are within the specification range required for your model. However, most modern servos will work perfectly with the Aquila 6.